Four-and-a-half LIM domains protein 2 (FHL2) is involved in major cellular mechanisms such as regulation of gene transcription and cytoskeleton modulation, participating in physiological control of cardiogenesis and osteogenesis. Knowledge on underlying mechanisms is, however, limited. We present here new data on FHL2 protein and its role during vertebrate development using a marine teleost fish, the gilthead seabream (Sparus aurata L.). 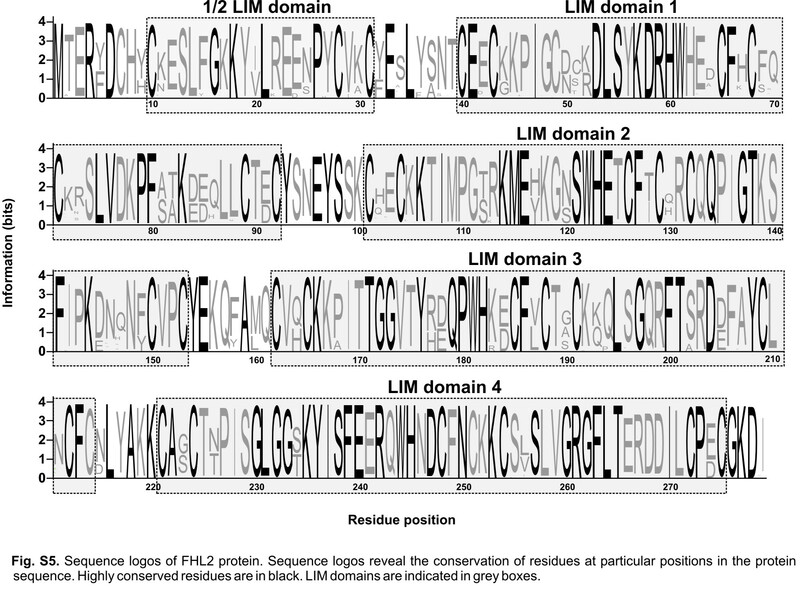 In silico comparison of vertebrate protein sequences and prediction of LIM domain three-dimensional structure revealed a high degree of conservation, suggesting a conserved function throughout evolution. 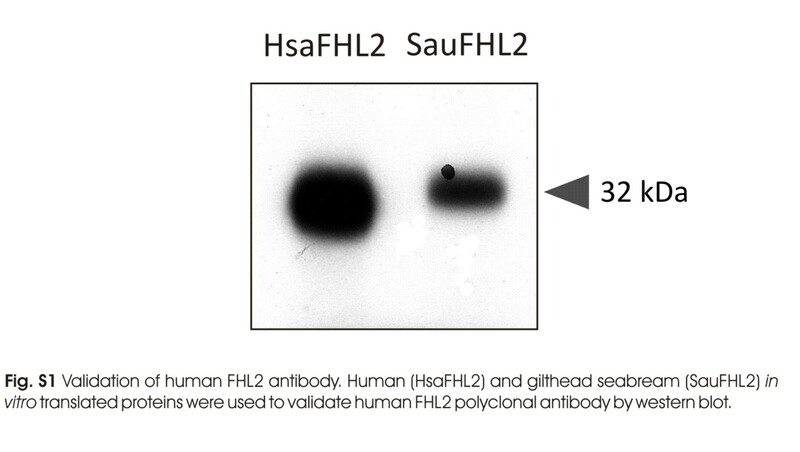 Determination of sites and levels of FHL2 gene expression in seabream indicated a central role for FHL2 in the development of heart and craniofacial musculature, and a potential role in tissue calcification. Our data confirmed the key role of FHL2 protein during vertebrate development and gave new insights into its particular involvement in craniofacial muscle development and specificity for slow fibers. 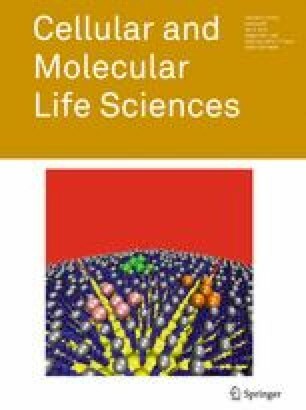 The online version of this article (doi: 10.1007/s00018-011-0754-y) contains supplementary material, which is available to authorized users. This work was partially funded by grant GOCE-CT-2004-505403 (Marine Genomics Europe, FICEL project) from the European Commission under the 6th Framework Program. MS Rafael, A Bensimon-Brito and RB Leite are the recipients of doctoral fellowships (SFRH/BD/22695/2005, SFRH/BD/40573/2007 and SFRH/BD/30112/2006, respectively) from the Portuguese Science and Technology Foundation (FCT). Authors are grateful to Pedro Pousão-Ferreira and Luísa Dâmaso Rodrigues (Instituto Nacional de Investigação Agrária e das Pescas—INIAP–IPIMAR/CRIPSul, Olhão, Portugal) and Dominique Schuchardt and Marisol Izquierdo (Grupo de Investigación en Acuicultura, Las Palmas, Gran Canaria, Spain) for seabream eggs and larvae, respectively. Authors also thank P. Eckhard Witten (Ghent University) for helpful discussion.